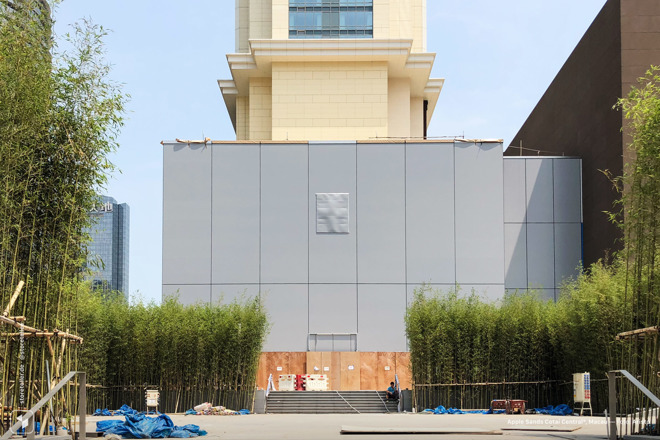 Apple is reportedly planning a second shop in China's Macau, while closer to home the company is preparing to renovate a store on the outskirts of New York City. The new Macau location is going up at a casino resort, the Sands Cotai Central, Storeteller indicated. Macau is China's international gambling hub, meaning an Apple store is likely to attract wealthy tourists and/or travelers who simply need to stop in for accessories. Unlike Apple Galaxy Macau, the future outlet —assuming it does belong to Apple —is located outdoors. It will allegedly open later this quarter, in other words before the end of June. The shuttering of Apple's Westchester mall store in White Plains, New York was announced via the Web. The company hasn't said when the location will reopen, or what changes are being made. The shop is one of Apple's oldest however, dating back to 2002, and likely needs more space. It will also presumably be updated to Apple's latest design aesthetic, which includes things like wooden shelving and oversized video displays. In the meantime the company is directing people to its other stores. The next closest ones are Apple Ridge Hill in Yonkers, and Apple Greenwich Avenue in Connecticut. Apple has been renovating or relocating many of its U.S. shops, looking to keep up with demand and its manufactured image. Globally, its most recent all-new store came to the Austrian capital, Vienna.